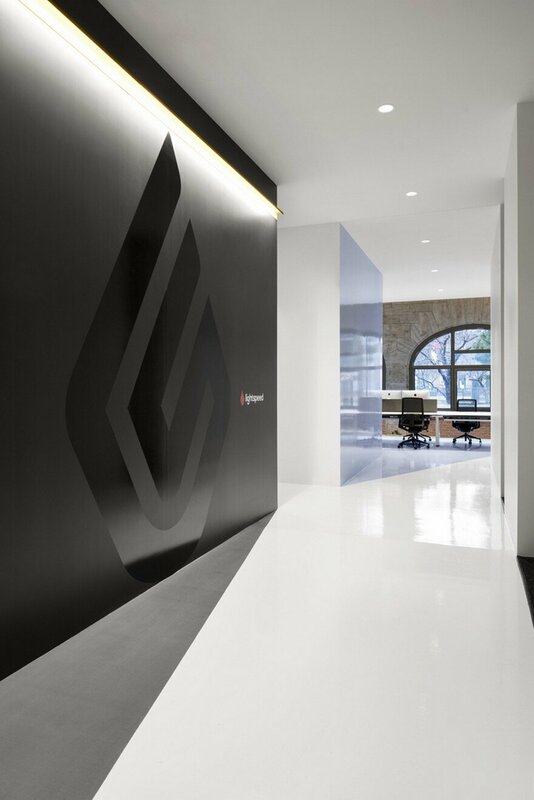 Lightspeed commissioned ACDF Architecture – the designers for the first phase of the firm’s headquarters – to create a new floor dedicated to product development. The workspace of the point-of-sale software company is located on the ground floor of a 19th-century railway hotel, the chateau-style Viger Railway Station. With its distinctive architecture and its historical significance, the building is an iconic landmark that stands out in Old Montreal’s skyline. 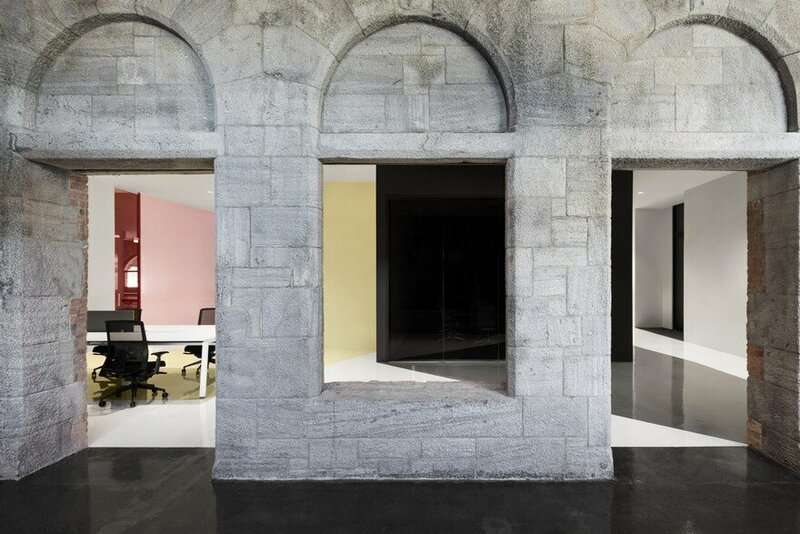 Inspired by the contrast between the historic railway station and the growing tech company, ACDF created a functional and lively office space. 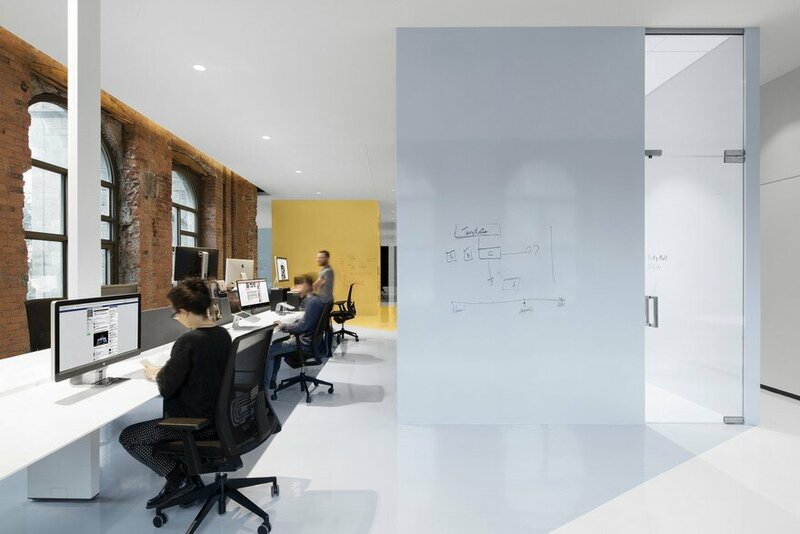 The new floor provides an ideal environment for development teams, expressing at the same time the audacious and creative nature of Lightspeed. 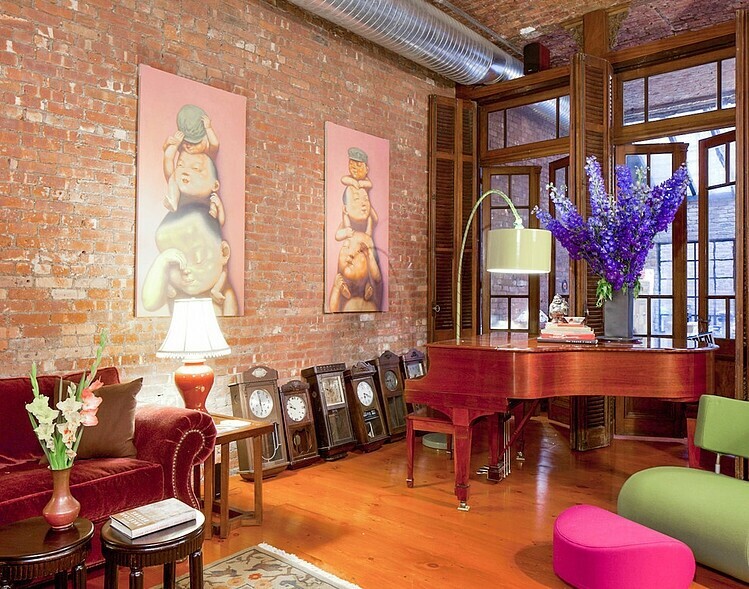 The Lightspeed Headquarters occupy a large and bright 15-foot-high space. 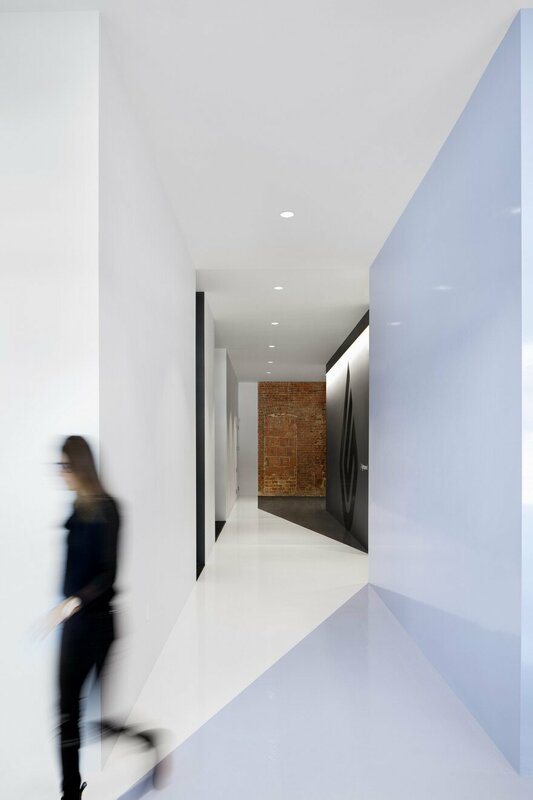 Daylight reflects off the slick surfaces of the glossy white epoxy-coated floor and the gypsum ceiling. The harmonious setting creates a unique synergy driven by spontaneous interaction. 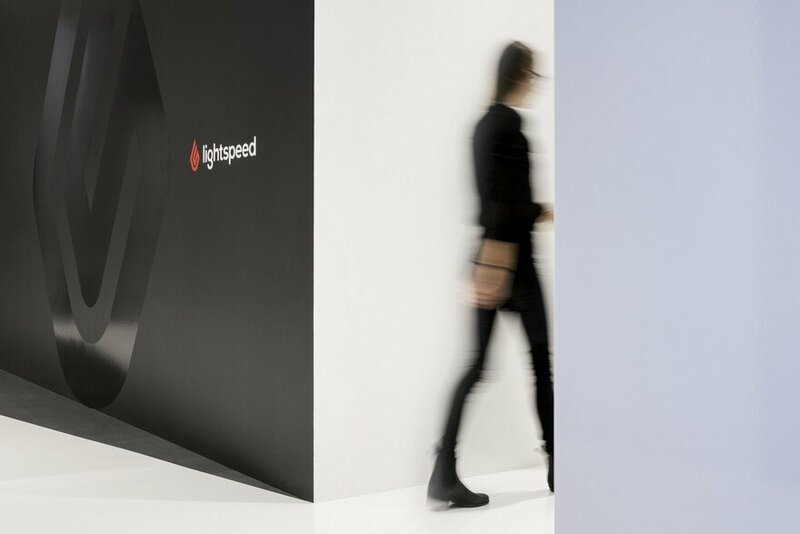 Inspired by the best product development approaches, Lightspeed encourages collaboration and self-organization amongst its team members. Each group works as a unit, almost like an independent start-up company, and the collaborators adapt the space to fit their needs. 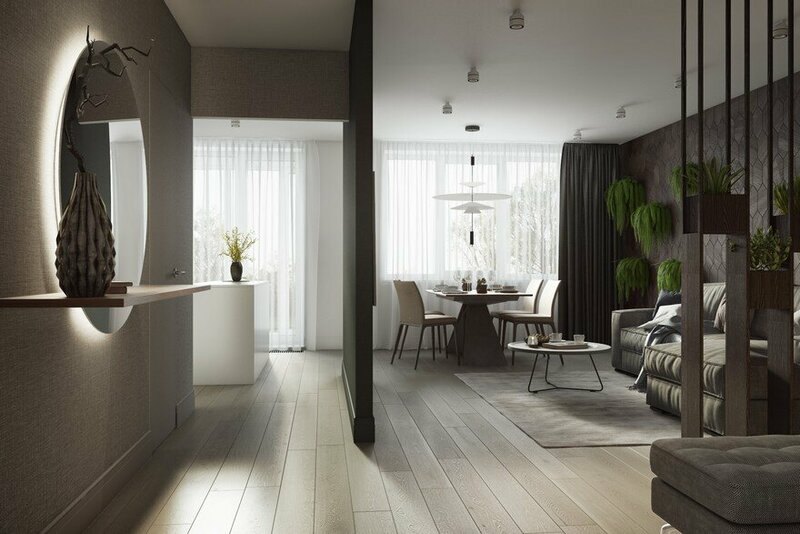 Each group has its own desks, meeting room and social area in the open floor plan. 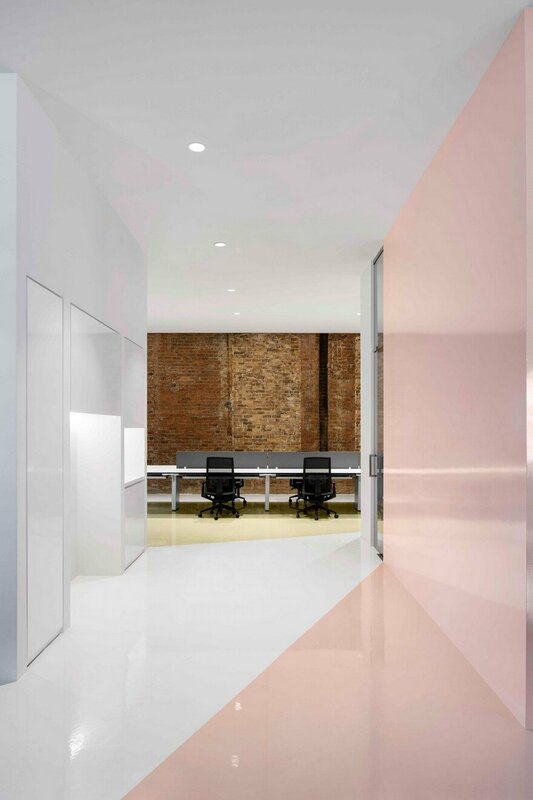 Varying pastel tones spread on the walls and floors in shadow-like shapes, defining each team’s zone. 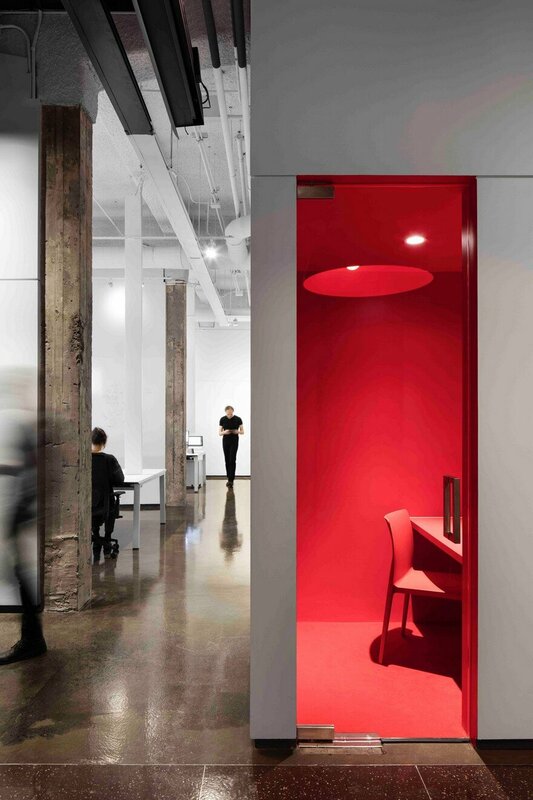 Like small islands, these areas form a dynamic archipelago that invites gatherings to take place in the in-between spaces and the surrounding pastel walls double as whiteboards for impromptu meetings and presentations. The flexible environment helps team members to focus on projects in progress while also fostering close working relationships. 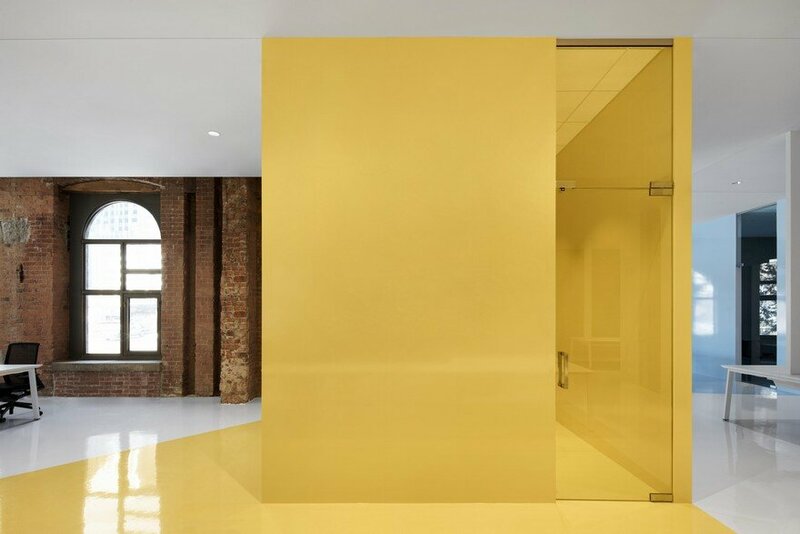 Following in the footsteps of their design for the first floor, ACDF opted for a careful intervention that preserves the original building’s rich heritage. 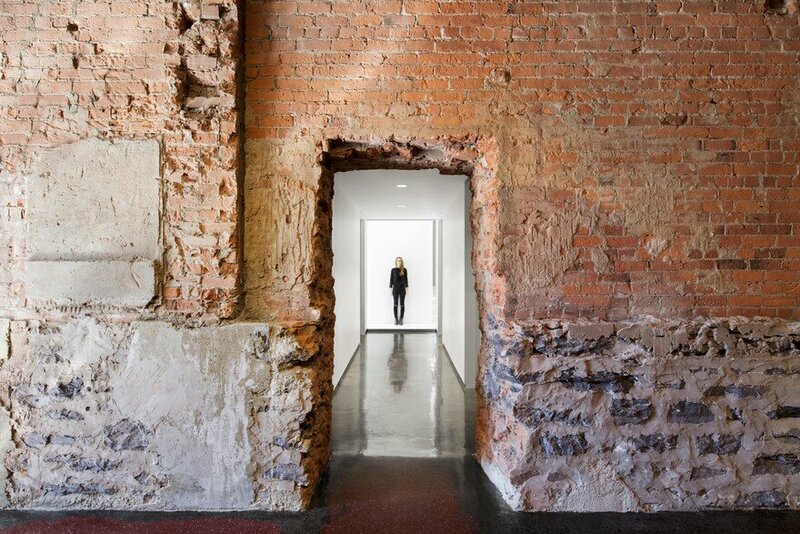 Remnants of the existing shell offer a backdrop to the contemporary atmosphere of the office space. 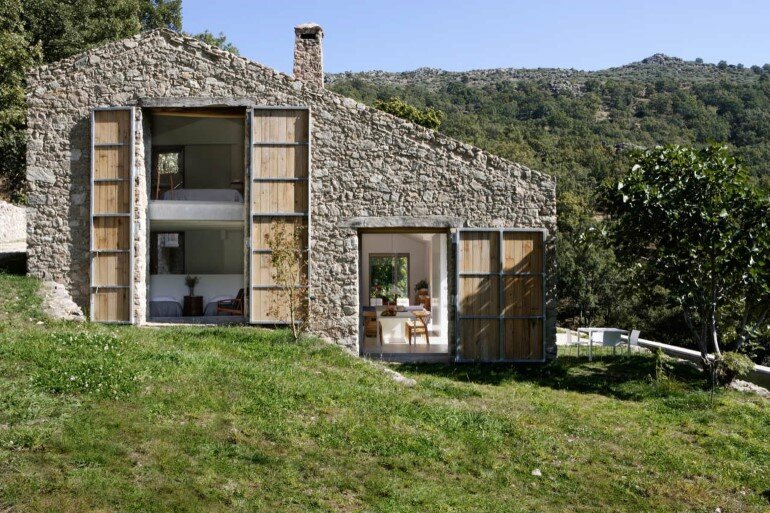 The architects uncovered remaining bricks and stones to expose the raw material and created a dynamic contrast between old rough walls and new rectilinear geometry that highlights the space’s qualities. Passing through the old central wall, we reach “the alley”, a common space where the industrial past of the building is more noticeable. 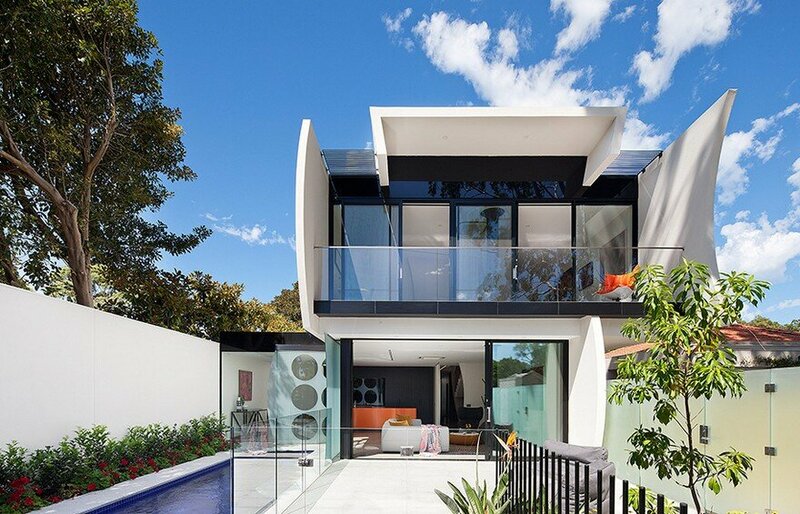 The glossy floor finish of this area exposes the concrete and terrazzo patterns. 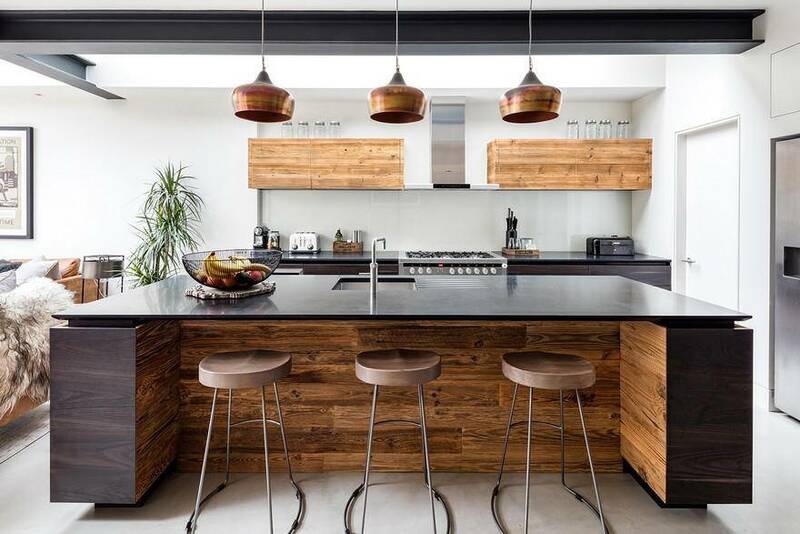 The black paint on the ceiling conceals the ducts and piping without hiding them completely. 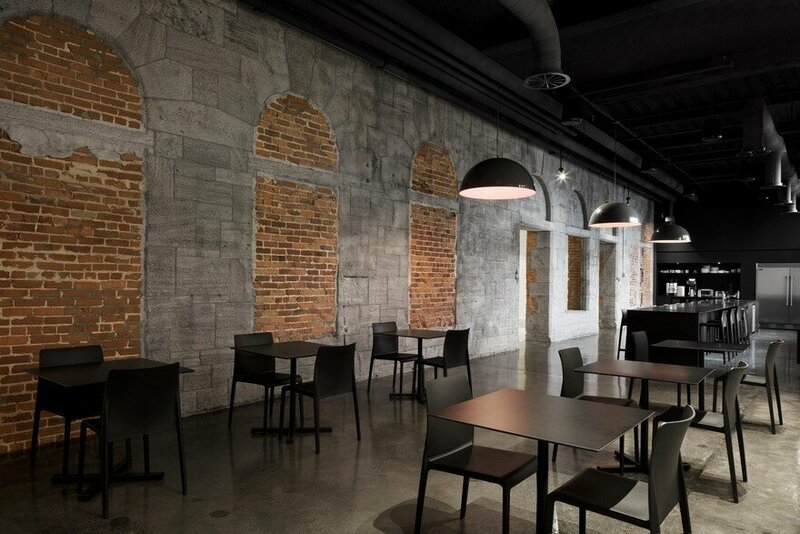 Located at the junction between the 1898 Viger Railway Station and the 1912 Berri Railway Station, the alley is a space where eras and people meet. With its comfortable atmosphere and its long counters calibrated for large-size gatherings, the room can accommodate up to 300 people and can provide a meeting place for the whole Lightspeed team. 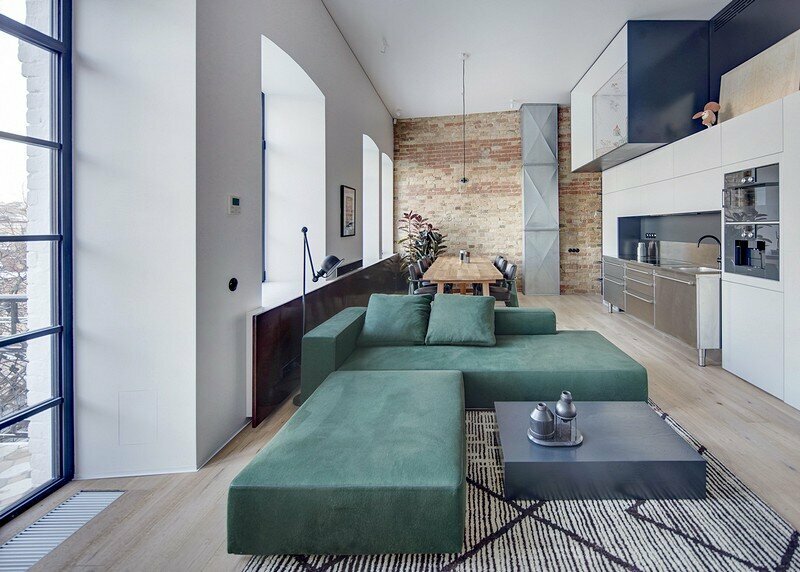 The central position of the alley divides the floor in two: a clean and edgy space on one side, an industrial environment on the other. 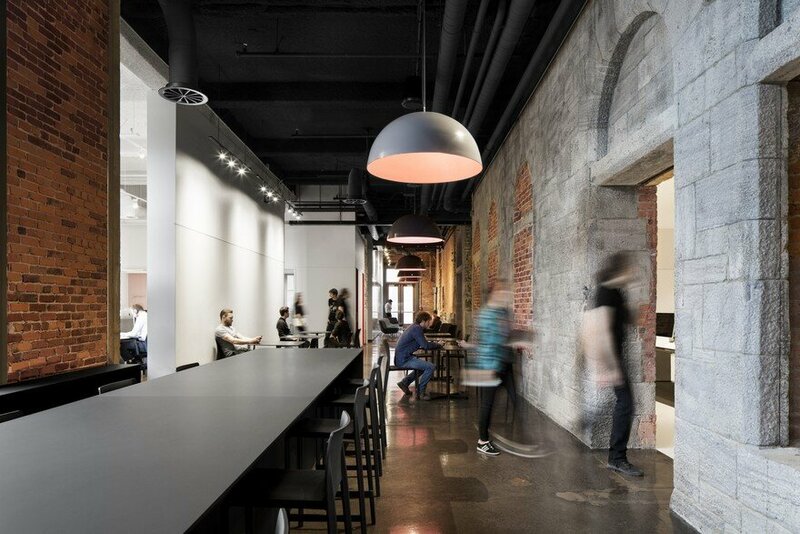 Adapted to the visionary work of development teams, the new floor of Lightspeed’s office is a real innovation hub, while also providing an engaging and inspiring workspace.